We are engaged in offering Heatless Air Dryer to the clients. Established in the year 1999, we, Drycool Systems India Private Limited, are engaged in manufacturing & supplying Industrial Chillers & Commercial Air Conditioning Systems. 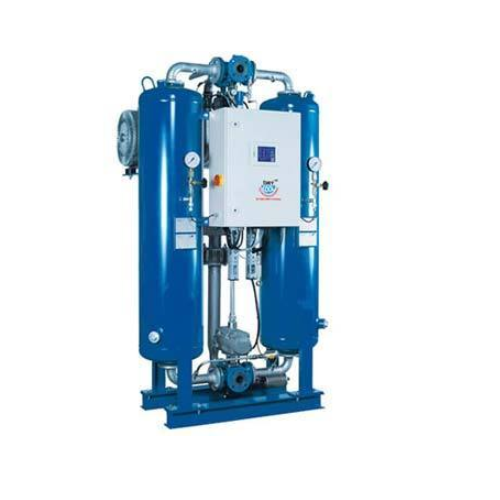 We offer commercial chillers and industrial cooling system like Water Cooled Screw Chiller, Air Cooled Screw Chiller, Compressed Air Dryer, Drycool Cooling Tower, Air Handling Unit etc. In addition to this, our company also undertakes turnkey projects for commissioning and installing chilling plants and chilled water systems. Customization being our forte, we cater to the requirements of our clients by manufacturing our range in specific configurations as per the demands of our clients. Our company is also engaged in constant R&D activities so as to keep ourselves updated with the changing requirements of the market. Further, our vast distribution networks ensure timely delivery of our range and prompt after sale services. We have reputed names in our client list such as Suzuki Power (I) Ltd., Manesar, Supron Industries Pvt. Ltd., Okhla, Amco India Ltd. Bhiwadi, Kiwi Food Pvt. Ltd., Tronica City, Packaging Ware House, Noida.